The Vande Bharat Express or Train 18's air conditioned chair car ticket would cost you nearly Rs 1,850 and the executive class fare will be Rs 3,520 for a Delhi to Varanasi trip. 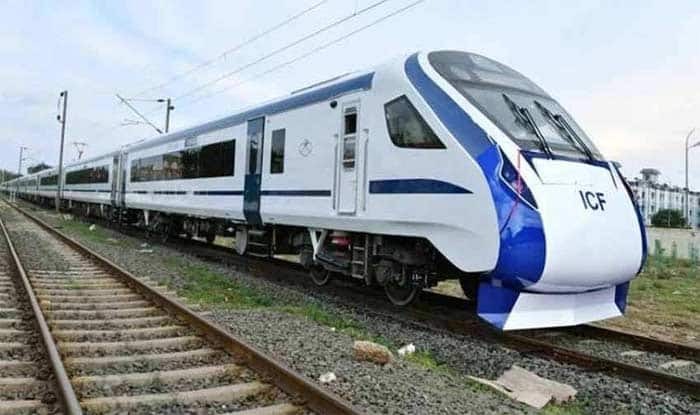 New Delhi: The Vande Bharat Express or Train 18‘s air conditioned chair car ticket would cost Rs 1,850 and the executive class fare will be Rs 3,520 for a Delhi to Varanasi trip, including the catering service charges, according to sources. Whereas, on its return journey, the chair car ticket will cost Rs 1,795 and the executive car ticket will be priced at Rs 3,470, a report stated. While the chair car fares are 1.5 times the price of Shatabdi trains running the same distance, the executive class fares are 1.4 times of first class, air conditioned seating. The train has two classes of tickets – executive class and chair car — and will have differently priced meals, the sources said.